A brief introduction to a New York band that features at least one familiar face for those of us stuck in Ireland. What makes the perfect pop song? "A good beat, a good hook and a little love," answer the Messyheads. Judging by their demos they are well on the way to achieving that. The Messyheads have never had a dance influence in their music; they just want to make the type of pop songs The Beatles and The Beach Boys made and that the Byrds and the Band tried to emulate. In this they are comparable to Mercury Rev who took the best pop moments of the last 30 years, mixed them together, added some originality and turned out the best album of last year in "Deserters Songs". If the Messyheads debut album is half as good they should be well pleased. 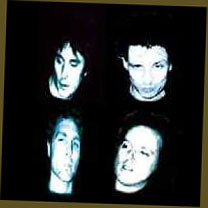 The band are made up on John Connor - once of the Ireland's now defunct Golden Horde - on vocals and bass, Chuck Fields on vocals & guitar, with Dante Piacenza on guitars and backing vocals and new recruit Roger Murdock on drums and also backing vocals. Their last drummer, Emmaline (ex-Engine Alley), has left to pursue a solo singing career. As an ex-pat John echoes some of Glen Hansard's recent comments about Dublin and seeing the same people in Whelan's every week. "Dublin is a little 'slow'. It's not a big town, although the same thing seems to happen in NYC". They've been together for two and a half years and claim that they're old enough "to continually wonder why we do this." Despite being based in New York, they're aiming at the European market and will release their first single here in early spring, followed shortly afterwards by their debut album with a tour planned to promote it. They have had some record company interest in the States, but their European ambitions mean they haven't followed it up. Roger says they would prefer to sign to an "indie giant" while Chuck answers: "I'd like to work with anybody who believes in us you know." They've all been in this situation before, so their ambitions remain limited for the moment. Chuck wants to get some records out and play a few shows for anyone who likes them. John wants "to make our music available to whoever wants to buy it" while Roger quips he only desires "steady legal employment". Oh, and a Messyhead is someone who's a bit weird but basically a nice person. Just like these guys really.